After 10 days in Hawaii it’s nice to be back home to enjoy the autumn colors of the Pacific Northwest. 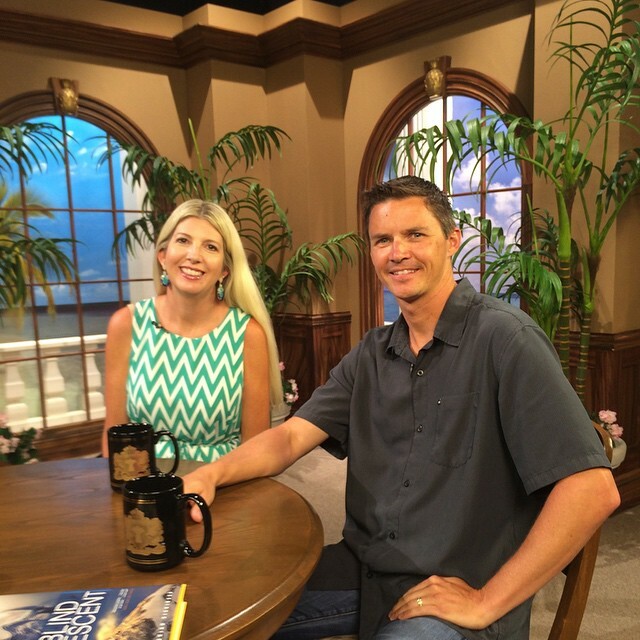 While in Honolulu I was called in to be on a show for Trinity Broadcast Network. JoAnna ended up being on the show with me, which was cool because so many women always want to know her perspective. Plus she’s a Christian counselor and is able to help others with struggles like fear and anxiety. I was super proud of her for being on the show, since it can be nerve racking once the cameras go live. Since I got back from Everest and started speaking to large groups I’ve realized that a lot of people struggle. During my TBN interview we touched on this as there are so many dealing with issues in their lives. I survived my scenario on Everest for a reason and I’m continually reminded why, as I’m humbly able to touch the lives of others. Don’t get me wrong, I’m as flawed as the next guy, which I think helps people relate to me. When I look back as to how I got down from the summit blind and alone it really comes down to two things: focus and faith. I didn’t panic at the situation, instead I focused on what had to be done to survive. One step at a time I inched my way down from 29,035′. During this time I never lost my faith. I felt a tangible presence with me the entire journey and at 27,500′ when I ran out of supplemental oxygen I surrendered to God. I could no longer do it on my own and I asked for help. I was then overcome with unexplained energy and life. An oxygen bottle that had previously failed began to work. Without overthinking it I continued my focused movements to get down to high camp. After 30+ exhausting hours of climbing I made it safely to others at the bottom of the death zone (26,000′). I never gave up my focus or faith and I’m now here to tell the story and continue my journey through life. We all hurt. We all struggle. If not today, we will tomorrow or the next day. It’s human nature and we live in a society that has too high of standards for anyone to live up to. Each day we must put one foot in front of the other, keep our focus and never give up on faith. Hard times will come (and many times compile all at once), but eventually we get past the pain and can celebrate the glory. I know it’s easier said than done, but focusing on smaller tasks can help build a more attainable plan of success. Simplify the plan, execute the tasks and reflect on your successes. Thank you so much. I was reading this in my break room during lunch at Walmart. I believe just like the Scriptures that God can send those to us,to comfort us – encouraging us with their own life’s example and testimony. It is a testimony to a loving Father who sees your struggle and sends others in the Body of Christ to inspire, teach, testify and encourage. Thank you for taking the time to minister to others in such a beautiful way. Thank you JoAnna for being the Godly wife that you are. Thank you that you share with us. God bless Emily and Jordan and you Brian and JoAnna. I have a brother in Christ who climbed Everest, descended alone, faced with snow blindness. And if God can help him to summit and descend, surely He can help me in my own life to win. God bless you. God bless you all. Respectfully your sister in Christ, Kim Maria.